From our kitchen to yours, we are pleased to feature this tasty recipe shared via mountainmamacooks.com for you to try with our organic Poultry Seasoning “Salt Free”. Enjoy fried chicken without the fat and calories using this Buttermilk Oven “Fried” Chicken recipe from the blog – Mountain Mama Cooks. 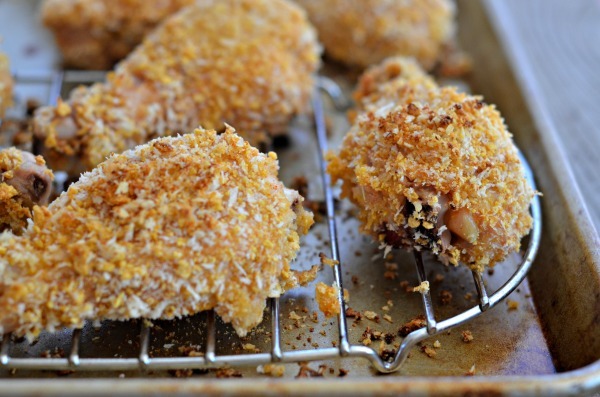 Prepared with a winning combo of seasonings (including poultry seasoning), panko bread and crushed cornflake crumbs, the chicken drumsticks are light and crispy on the outside, tender and moist on the inside. Soaking drumsticks in buttermilk overnight, before baking them in the oven at high temperatures, is the key to this appetizing dish. Click on image to link to recipe. From our kitchen to yours, we are pleased to feature this tasty recipe shared via chocolateandcarrots.com for you to try with our organic Poultry Seasoning “Salt Free”. 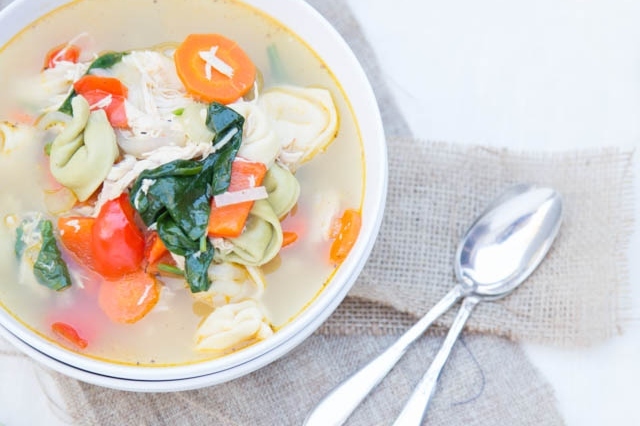 Cozy up with this vegetable and protein packed comfort soup, made with chicken and cheese tortellini, from Caroline of the blog Chocolate and Carrots. It’ll warm your body and soul, particularly during the flu season. Click on image to link to the recipe. 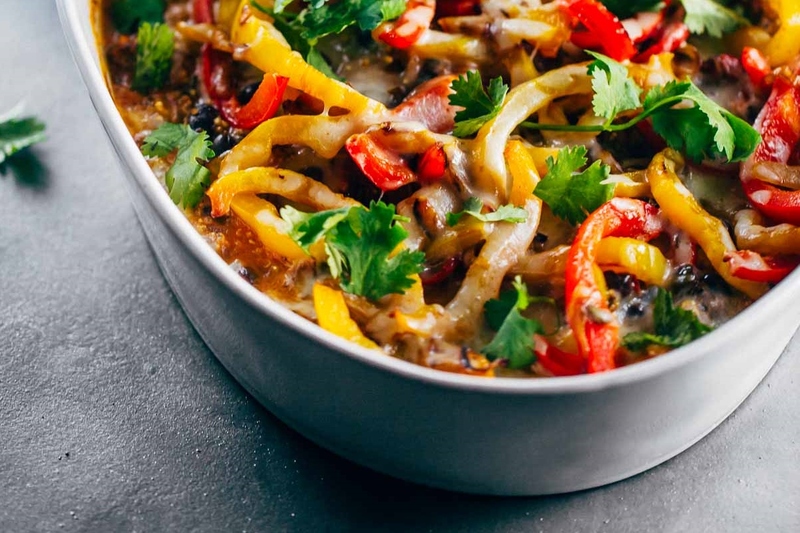 From our kitchen to yours, we are pleased to feature this tasty recipe shared via taylormademarket.com for you to try with our organic Mexican Blend “Salt Free”. We’re sure you’ll fall for this fancy and flavourful Sante Fe Tortilla Stack recipe, designed by Andrea Taylor in her blog – TaylorMade Market. 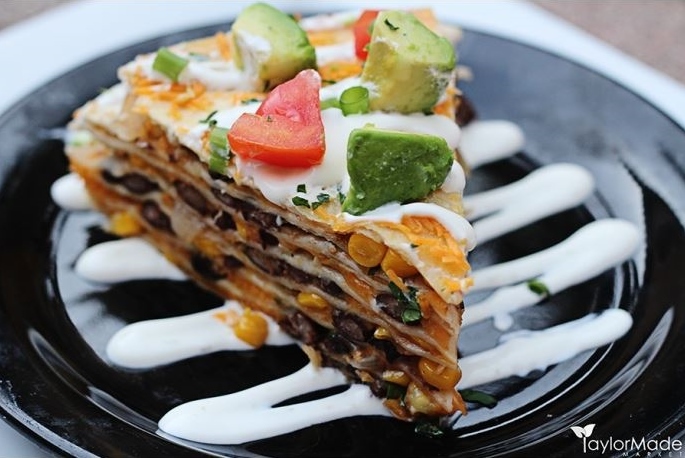 It’s a bake dish with flour tortilla layers of black beans, roasted garlic, sweet corn, caramelized onions, Mexican blend seasoning, and cheddar cheese, then topped with lime sour cream, avocado, tomato, scallions and cilantro. Click on image to link to recipe. 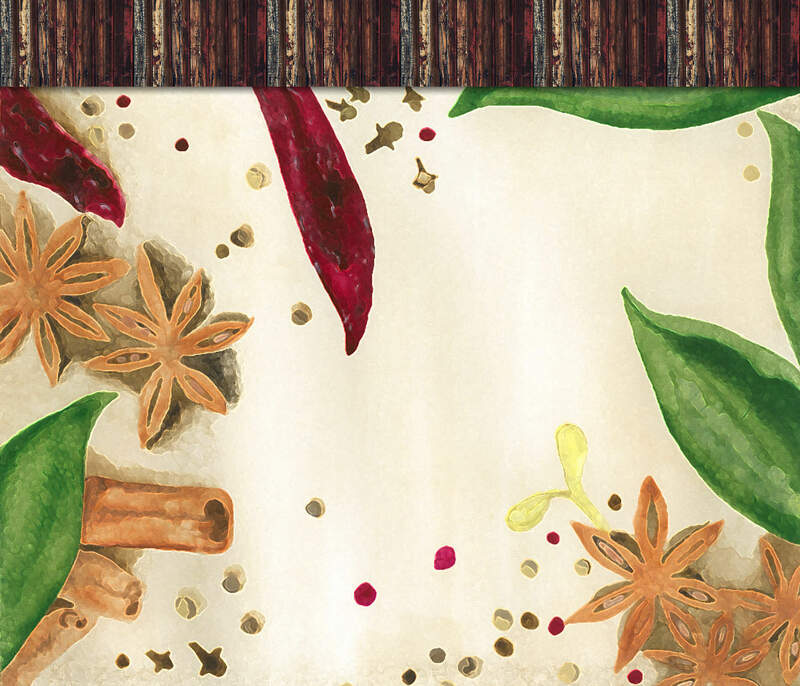 Our salt free Mexican Blend is a perfect combination of flavor without the sodium. Use it in any of your favorite Mexican soups, sauces, marinades, brines, or roasts. (For example, instead of adding a combination of spices according to a recipe, simply add the Mexican Blend and your dish is set!) Add a tablespoon to 2 cups of rice or sprinkle over any steamed vegetable for a flavor from south-of-the-border. From our kitchen to yours, we are pleased to feature this tasty recipe shared via crockpotgourmet.net for you to try with our organic Lemon Pepper Seasoning. Salmon is a great choice for a healthy dose of omega-3 fatty acids. 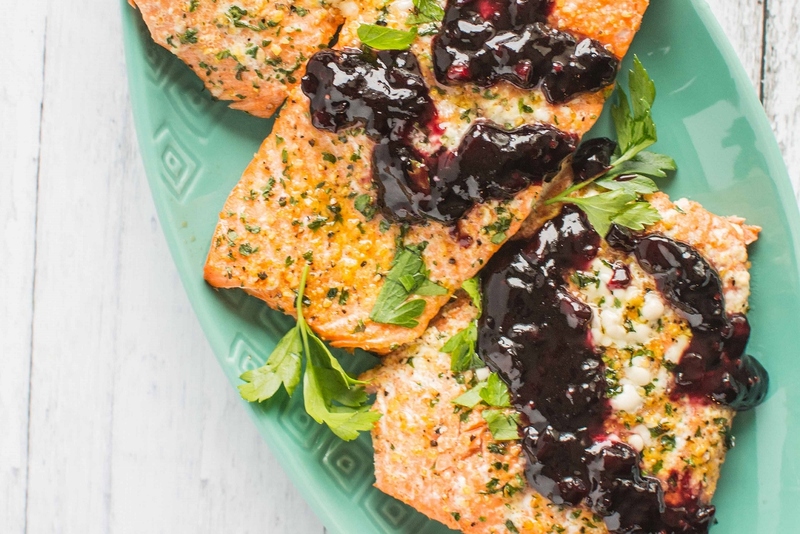 Out of the umpteen options for preparing salmon, we think organic lemon pepper seasoning would go super well and highly recommend trying out this Grilled Lemon Pepper Salmon With Black Raspberry Sauce recipe from Jennifer at Crockpot Gourmet! Click on image to link to her recipe. From our kitchen to yours, we are pleased to feature this tasty recipe shared via thecookierookie.com for you to try with our organic Lemon Pepper Seasoning. 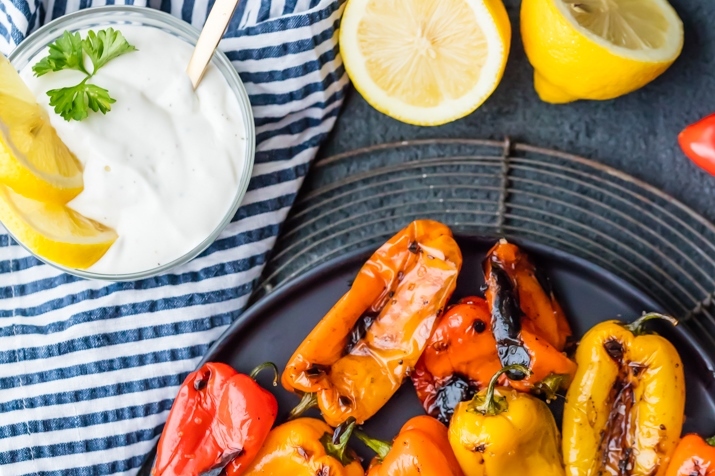 Everything you want in an simple, healthy appetizer to jazz up a dinner party can be found in this pretty and tasty dish, Blistered Sweet Peppers with Lemon Pepper Goat Cheese Dip, by Becky of the blog The Cookie Rookie. Sweet Peppers can be easily made in a skillet or grill. Click on image to link to her recipe.